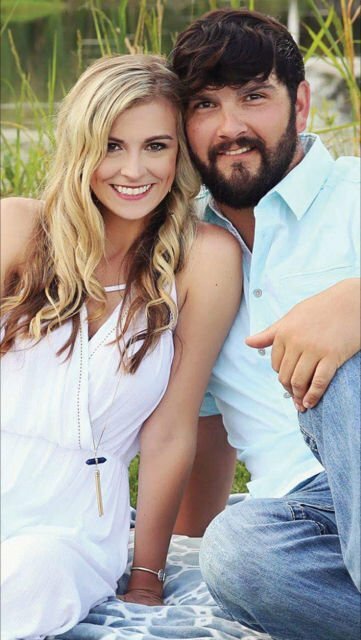 Hailey McManus and Colten Murphy will get married on Mar. 25, 2017. The ceremony is set for Mar. 25, 2017, at the White Magnolia in Kentwood. The bride-elect is a 2009 graduate of Central High School and a 2015 graduate of the University of Louisiana at Lafayette where she earned a bachelor of science in nursing degree. She is employed by Lane Regional Medical Center in Zachary and is the granddaughter of C.R. Dunbar Jr. of Greenwell Springs and the late Diane Barrios Dunbar of Baton Rouge and Mae Marino of Denham Springs and Archie McManus, Jr.
Murphy graduated from Walker High School in 2008 and he is a self-employed construction contractor. He is the grandson of Mr. and Mrs. Randall Murphy of Denham Springs and Junice Fisher, also of Denham Springs.